High School seniors (foreground) Claire Olmstead, 17, (left) and Paige Hornbaker, 18, both from Newport Harbor, and (background) Abigail Klein from Corona del Mar (left) and Amanda Walker from NHHS, both 17, create basic hygiene kits by filling socks with small items like toothpaste and soap during the National Charity League Newport chapter’s Philanthropy Faire. Nearly 200 teenage girls recently spent a Sunday collecting, crafting and creating items to help people in need. The National Charity League Newport chapter held their annual Philanthropy Faire on Oct. 18 at Harbor Day School. The organization, consisting of seventh through 12th grade girls and their mothers, donates the items made during the event, which include blankets, school supply kits and hygiene packages, to 10 local nonprofits. 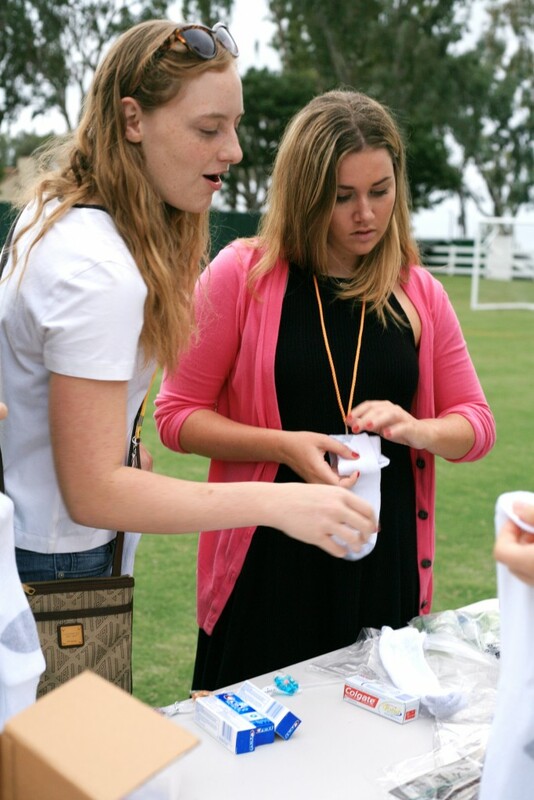 High school seniors Claire Olmstead (left) from Newport Harbor and Abigail Klein from Corona del Mar, both 17, create basic hygiene kits by filling socks with small items like toothpaste and soap. More than 700 local people benefited from NCL’s philanthropy faire efforts, Grippo explained. All the groups they work with help people in Orange County, many “just a few miles from here,” she added. 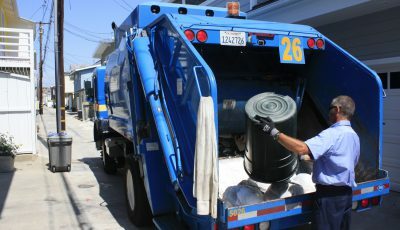 “We feel very honored to be able to serve the community,” Grippo said. The faire is the organization’s biggest philanthropy event of the year, added NCL Newport chapter president, Kimberly Robertson. They work about 50 events or projects every year. Most are grade specific projects, but the Philanthropy Faire is one of the few that brings together all the girls of every grade level and their mothers, Robertson explained. This year, the Newport chapter has 196 girls and 160 mothers. “To get all the moms and ticktockers together, it’s special,” Robertson said. Also during the faire, the NCL group heard from a Heritage House graduate who was homeless and living in a river bed just a year and half ago. 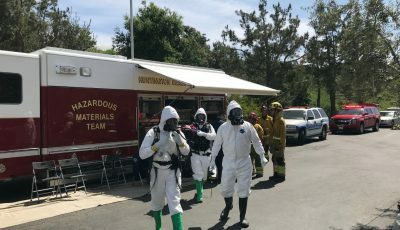 With the help of Heritage House, a women and children’s residential treatment facility in Orange County that NCL supports, she has turned her life around and remained sober. She is now living independently, attending college and raising her children in a sober and healthy environment. 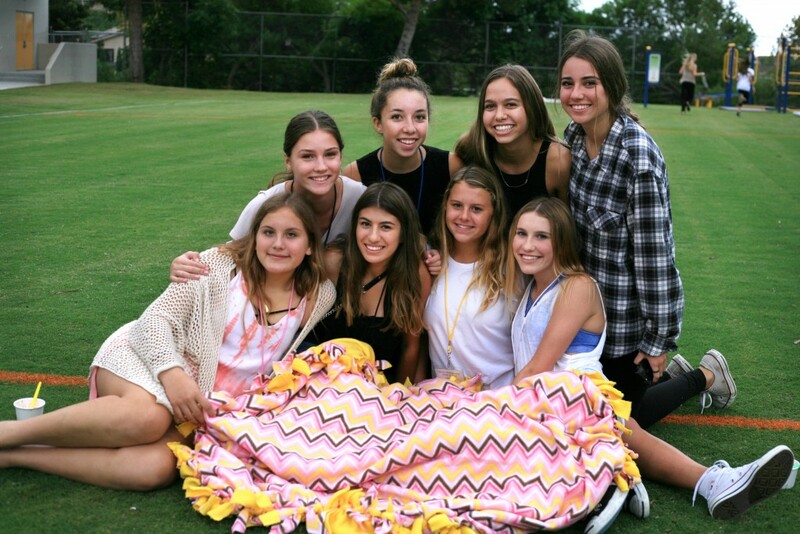 National Charity League girls pose for a photo with a blanket they made at Philanthropy Faire (top row, left to right) Corona del Mar freshmen Ellie Gehl and Kate Wirta, both 14, and sophomores Lauren Griffin, 16, also from CdM, and Liz Prado, 15, from Mater Dei. (Bottom row, left to right) Freshmen Mary Beeker from Mater Dei and Isabella DiGiorgio, Tessa Montgomery, and Natalie Young from CdM, all 14. Following the Heritage House speaker, the young girls – or ticktockers as they are called in NCL, split into groups that included one girl from each grade. This provides them with an opportunity to meet and bond with girls from other schools and grades. They worked together to make 125 blankets that were distributed to six local charities. The girls also worked on other projects, including emergency kits, blender and juice kits, hygiene packets, backpacks full of school supplies, collected carrots for the horses at the Shay Therapeutic Riding Center, and more. 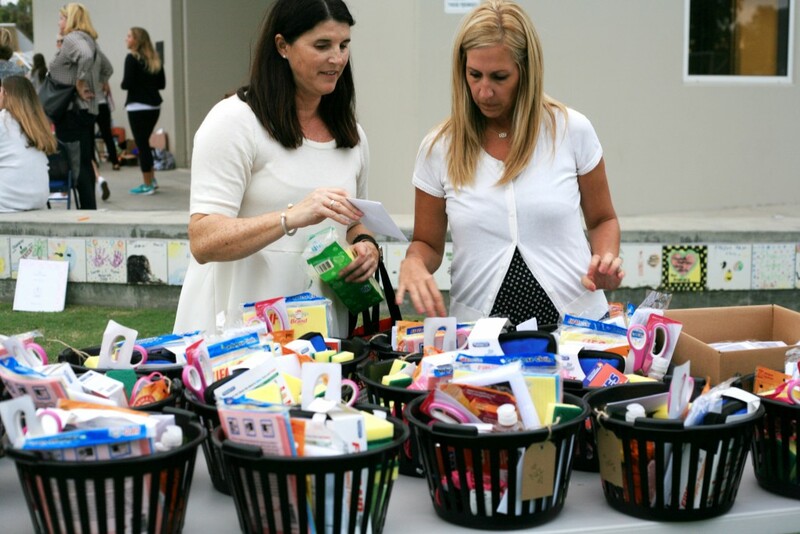 NCL moms (left) Chelle Wood, a philanthropy chair for the organization, and Stacy Peterson, the eighth grade level advisor, organize baskets full of donated items for Second Step. Every year at the faire the organization create kits to fill specific needs and distribute to various charities that NCL serves. 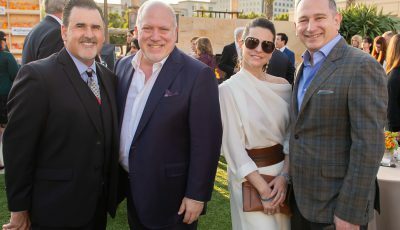 The Philanthropy Faire served SPIN (Serving People In Need), Thomas House, Orangewood Children’s Home, Someone Cares Soup Kitchen, Heritage House, J.F. Shea Therapeutic Riding Center, Second Step, Girls, Inc., Shalimar Teen Center, and SOS (Share Ourselves). Throughout the year, the girls will work on follow-up projects or events with many of the same charities that received the donated philanthropy kits made at the faire. They’ll have a chance to meet and learn about the actual people that are benefiting from their work. 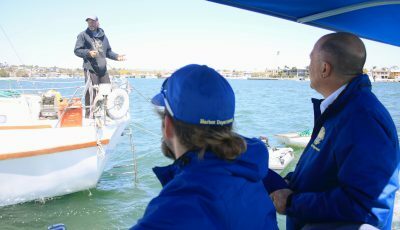 “My greatest hope is that these girls really see that what they’re doing makes an impact,” Grippo said. 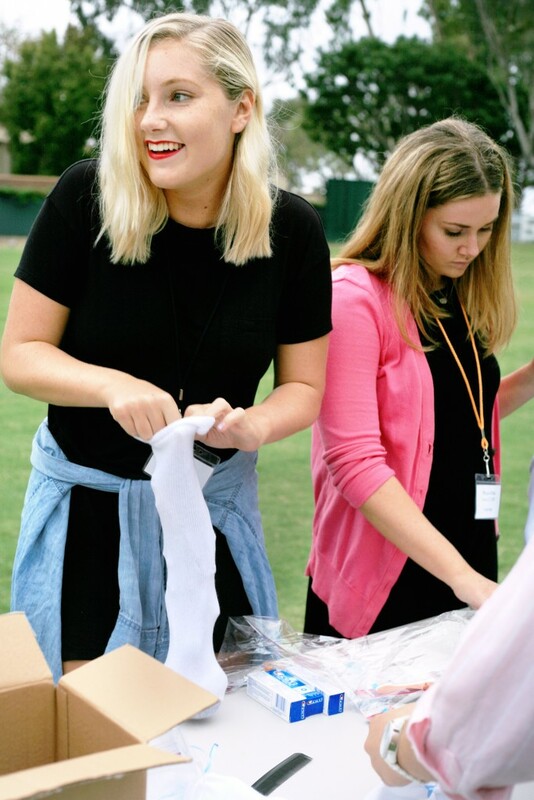 Corona del Mar seniors Claire Robertson (left) and Abigail Klein, both 17, create basic hygiene kits by filling socks with small items like toothpaste and soap. NCL helps out 32 charitable groups through a variety of projects. It teaches the young girls to give back and lend a hand in their own community. “They take it to heart,” Robertson said. NCL aims to foster-mother relationships in a philanthropic organization committed to community service, leadership development and cultural experiences. The National Charity League also provides a great opportunity for mothers and daughters to work together and bond, she said. For more information, visit nclnewport.org. 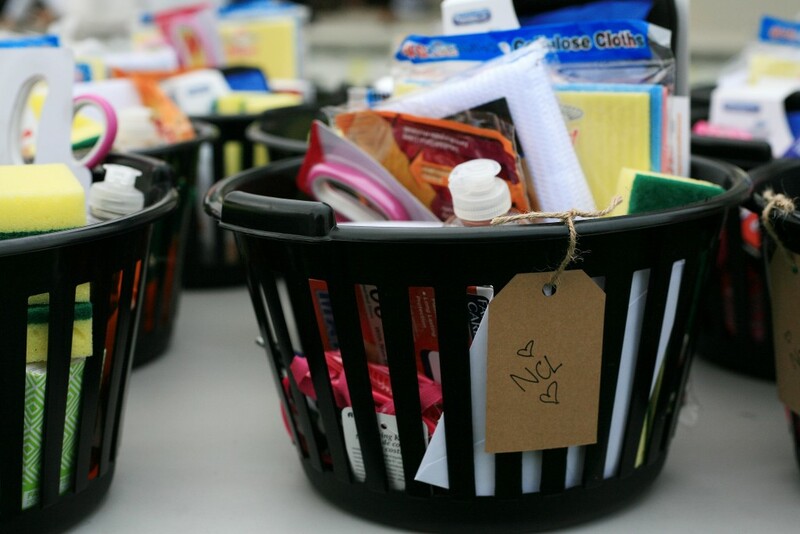 The NCL girls also created baskets full of helpful items for Second Step during the Philanthropy Faire. 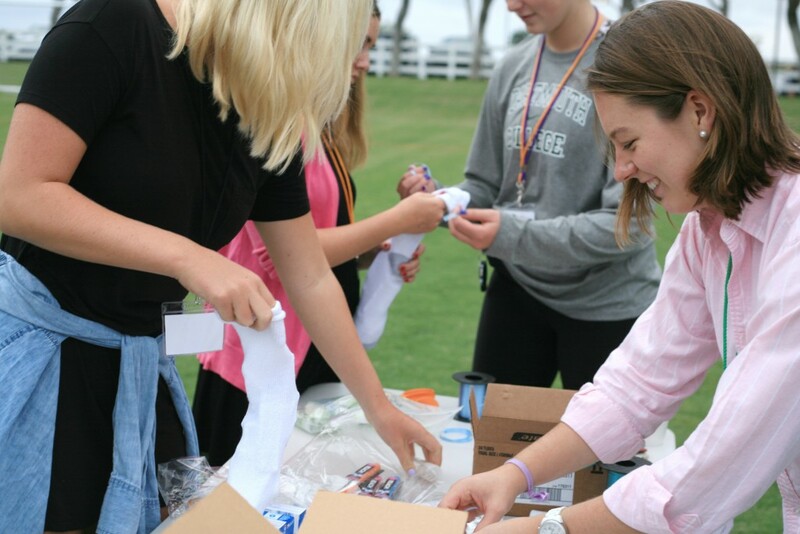 NCL girls create basic hygiene kits to be donated to a local nonprofit during the organization’s Philanthropy Faire.